I’ve been craving rice bowls lately. 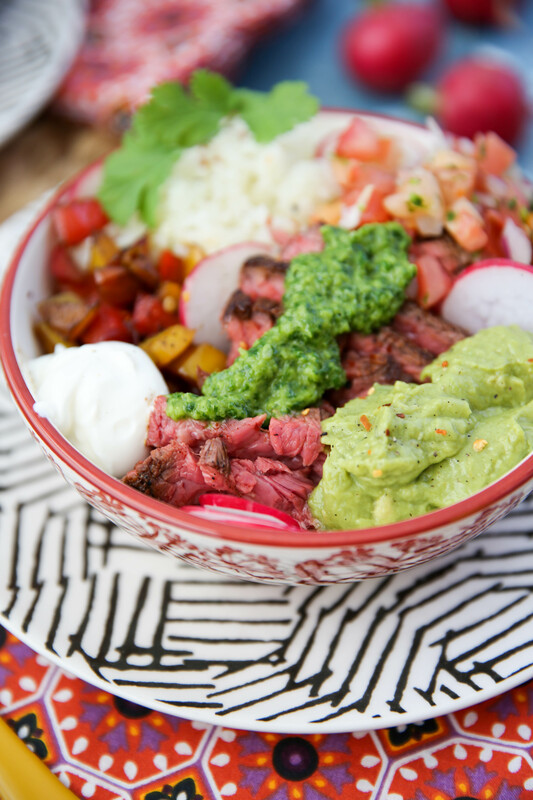 Poké bowls, steak bowls, shrimp bowls. Really any bowls. But since my body doesn’t do great with rice every single day, I have to turn to cauliflower rice as a low carb option. Is it the same as rice? Hell nah, but it does the trick. 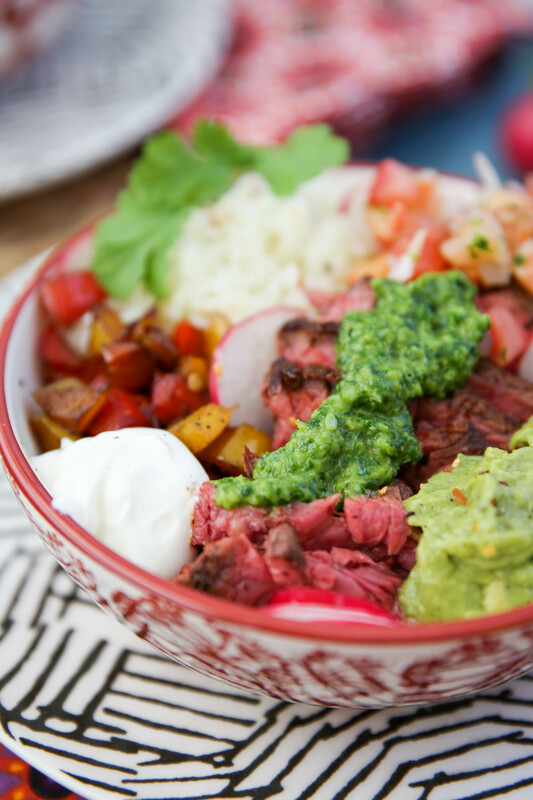 Especially when you throw guac and pico and peppers and all the good stuff all over it. Then you’ll never notice. Maybe. I recently started mixing regular rice with cauliflower rice and it’s kind of the best. So I told all moms out there to try it out on their kids since I’m an expert when it comes to children and I had ONE person say that it worked. I’m pretty much a mom guru at this point. It’s been a weird few days. I was in Phoenix most of last week where I wasn’t able to work. Then I came home to Denver with family in town, so I wasn’t able to work. Then I went to the Pink concert yesterday and couldn’t get home until midnight, which means I couldn’t work. All this to say, I’M SO BEHIND WITH WORK. I know you suuuuuuupes care and all, but man, being behind on anything and everything is my least favorite. I can’t fall asleep because of anxiety, I wake up with anxiety, and now I have anxiety thinking about the next few days. It’s all quite dramatic and unneeded and voicing it here is no different, but ya know. Being an adult calls for stupid complaints. But going to the Pink concert last night was worth some of the anxiety. She is the freaking best. I cried twice during her concert, TWICE. She had this speech about being kind to others and how everyone out there should have human rights. I cried. Then she had this speech for her daughter about how beautiful she is, no matter how she looks or what people say. I cried. I’ve never cried at a concert and I probably never will again. She’s such a gem who just constantly compliments all the people in the audience that she sees. Then her daughter came out on stage. It was all just adorable. I want Pink as my mom. Is that too much to ask? Anywho, I have recipes to catch up on and a bathroom to clean out since they are about to demolish it. I’m stressed. Did I mention I’m behind on my work? I’m so annoying. 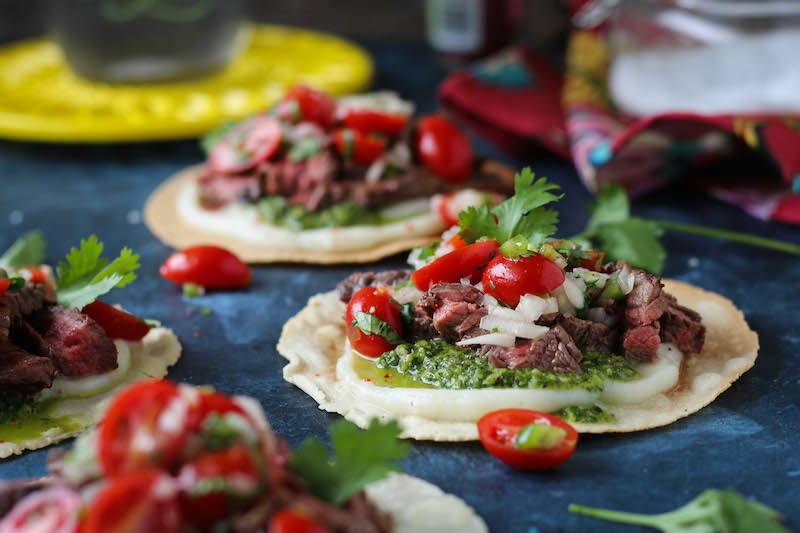 Place a large cast iron skillet over medium heat, lightly great with avocado oil spray, then sprinkle paprika, cumin and salt on both side of the steak, rubbing throughout. Place the steak in the pan and cook for 6-8 minutes per side (this time will depend on the thickness of the steak) then set aside to rest. Add a little more avocado oil to the pan then add the peppers and cook for about 5 minutes, tossing every so often to cook evenly. While the peppers start cooking, place another pan over medium heat, lightly grease, then add rice cauliflower with some salt and cook for about 4-5 minutes. 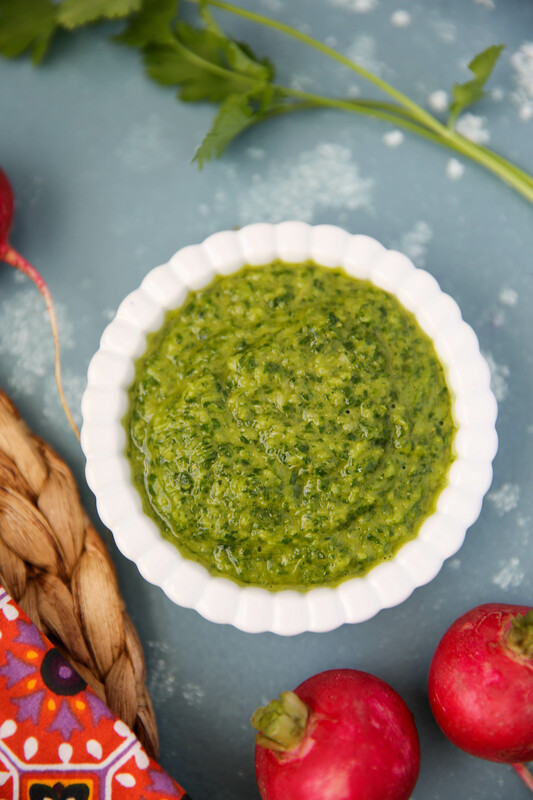 Lastly, make the chimichurri: place all the ingredients in a food processor or blender and puree until smooth. 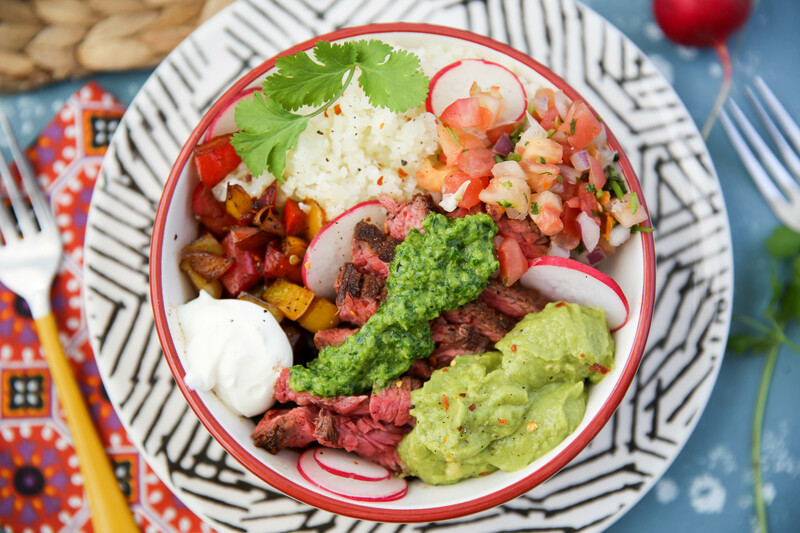 Now all you have to do is make your bowl – slice your steak against the grain, add cauliflower rice to a bowl, then steak, peppers, guac, pico, coconut sour cream, radishes and cilantro. 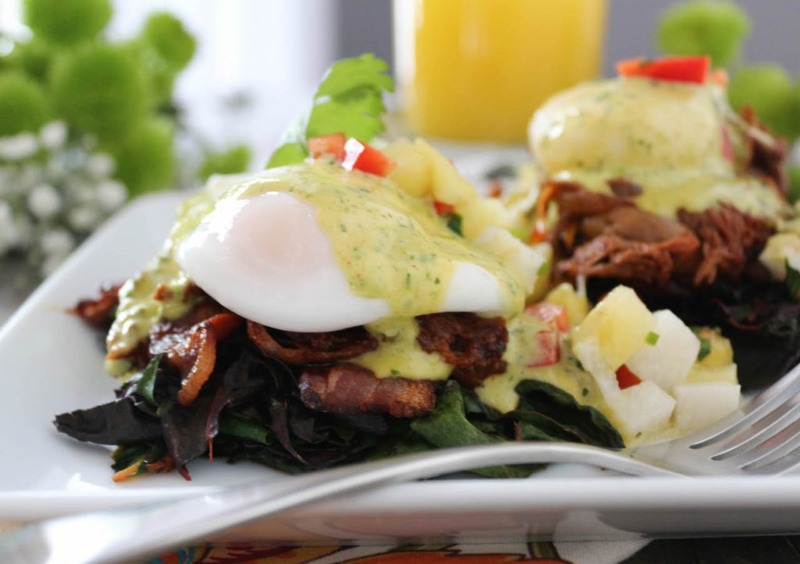 Then top it all with your homemade chimichurri! 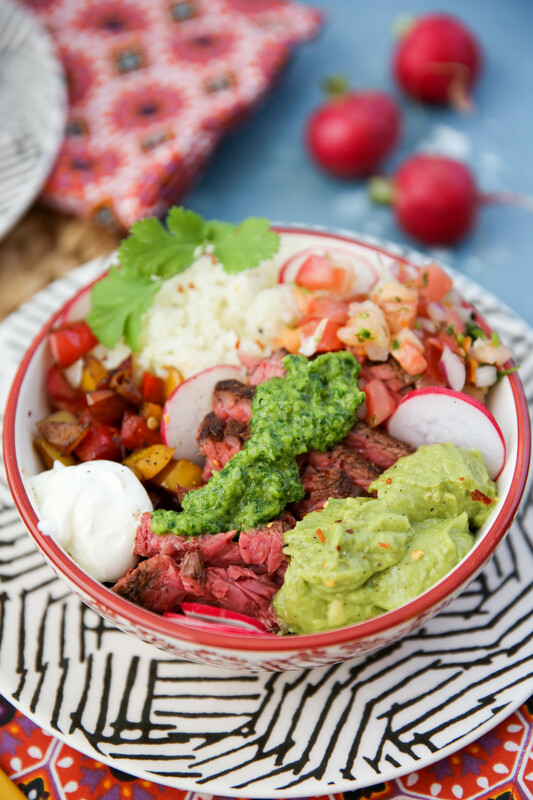 *I purchase already made pico and guac at the store to cut down on prep time! 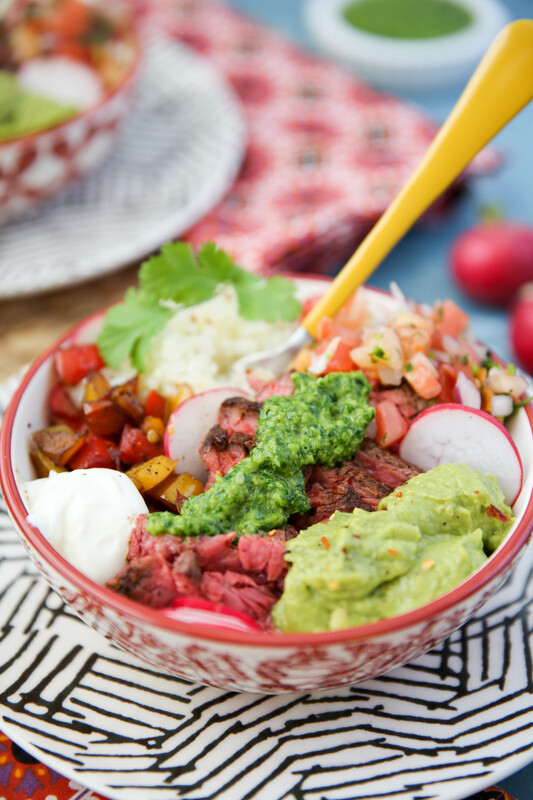 The post Chimichurri Steak Bowls appeared first on PaleOMG.com.